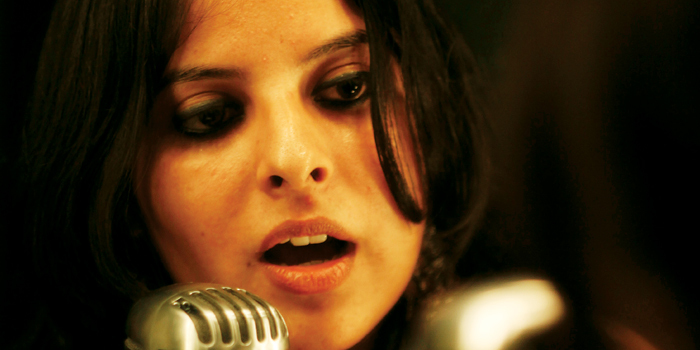 With her powerful but breezy voice, Mili Naira��s latest song, Meethi Boliyan from Kai Po Che easily topped the charts. First introduced in Raavanan, Nair, clearly belongs to team Amit Trivedi, with whom she took part in Coke Studio@MTV Season 2 and sang Badri Badariyan and Yatra. In the South her popular songs are Parakka Seivaai in Ambikapathy and Rettai Kathire in Harris Jayaraja��s Maattrran. In the city to perform at Elevate, the lounge bar, the singer-song writer with a western classical background will be giving us an eclectic mix of jazz, Latin RnB, Blues and her popular songs. a�?IA� never thought Ia��d be a part of the industry until A R Rahman gave me an opportunity. Now there are composers who want new and fresh voices that are unconventional. Bollywood/Kollywood music has also come a long way in terms of sound and style, a��a�� says Nair. The singer wants to work with composers like Vishal Shekhar, Yuvan Shankar Raja and collaborate with independent Indian musicians. However, Naira��s music journey has been like an adventure. a�?For me, more than change ita��s about absorbing, learning and gaining experience. The best thing about working for the films Ia��ve sung in is the acceptance of my voice for its sound and originality. On the other hand, ita��s also making me push the boundaries as a singer, making a composera��s vision of a song come to life. So ita��s the best of both, learning new approaches to music and at the same time retaining Indian film music,a�? says Nair who is currently listening to the Eagles and songs from Barfi.